Two runaway teens steal a car with dreams of driving down to Florida, but things take a turn after a dangerous game. I like to think that we feature a lot of terrific up-and-coming directors on the site, but after watching Backstroke and Dope City (Barclay’s previous short which was also featured on Short of the Week), I’m convinced he’s at the front of the pack when it comes to pure directorial prowess. Some people just intrinsically get the language of cinema. And, from what I’ve seen, Barclay is one of them. Again, the plot elements here are familiar (teenage runaways encounter a creepy stranger). But, damn, I was hooked from the opening frame. The pacing is perfect, the tone is masterful, and, yeah, visually it looks damn gorgeous. The entire piece feels very much akin to a Flannery O’Connor story—from the rural setting to the creepy antagonist to the abrupt ending—filtered through a distinct 90s aesthetic (even the car the two protagonists drive feels like a character). Although the film was shot in Connecticut, it very much has a Southern gothic vibe. While some will bemoan the film’s cliffhanger as unsatisfying, it’s also quite narratively thrilling—the perfect crescendo to take us into the credits. It’s something that might not work in a feature form, but as a short, it somehow does. 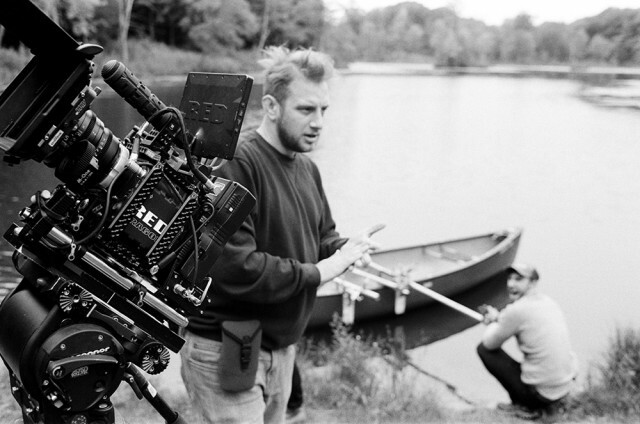 Barclay shot the film over the course of 4 days with some friends and a lot of creativity ingenuity (the lake scene was shot by rigging speed rails to a canoe and securing the camera 3 inches above the water). Skipping the traditional festival route and debuting the film straight online, we’re always excited to feature the work of talented up-and-coming directors. Barclay is currently writing a feature and prepping to shoot another short this year.